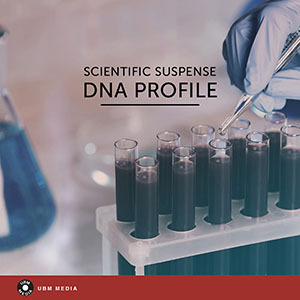 Science labs, pathologists, CSI, forensics, modern thrillers or crime scenes all come to mind and are perfectly accommodated with these tracks of apprehension, doubt, expectancy or tension. A driving, thrilling piano track as background to the exciting developements in the lab. An easy, light and sometimes inspirational, enthralling piano piece for the search for answers. A subtle soft beat laden background compliments the uplifting, almost frivolous melodies on this track. An easy pulsating and ambient track with an uplifting, hope filled element in the piano. Deep, percussion filled, menacing, almost threatening track, that can convey negative results or coming up against a wall. The fascinating low key excitement of the forensic pathologist as he slowly find the truth in the evidence. A mid tempo, bombastic mysterious basis with an airy arcane counterpoint for those perplexing, enigmatic moments. Suspence packed, tension filled underlay for the walk along the cold corridor towards the morgue. In the aftermath of the disaster, the paramedics and emergency services arrive on the scene to help the wounded. A pulsating, enthralling, breezy sound that can be relaxed but with just enough tension to underscore any busy lab scene. A minimalistic yet suspenseful backdrop for the investigation. Anxiously awaiting results or the build up to the moment of truth. Time is running out! The diligent lab workers hurry efficiently to beat the deadline. Hopeful yet sad, joyeous yet melancholic, uplifting and inspiring. A perfect background for any emotional moments. A menacing, driving, suspense filled, minimal background for those nerve wracking, tense, atmospheric moments. A suspenceful, impelling track as they wait for the DNA results. A spinning centrifuge and the hustle and bustle of the lab as the technicians strive for results. Repetetive, steady track. Breezy and light. It begins quietly, but grows into an intense sonic experience. Electronic sphere with subtle beat. Artificial yet welcoming. Mysterious, steady electronic chops, with bass and beat. Low notes and eerie mood. For images of destruction, fear and subtle threat. Distant jazzy drums within an enigmatic soundscape. Strange, mysterious, slightly nervous. Transcendent, abstract, slightly bizarre. For psycho thrillers and suspense films.